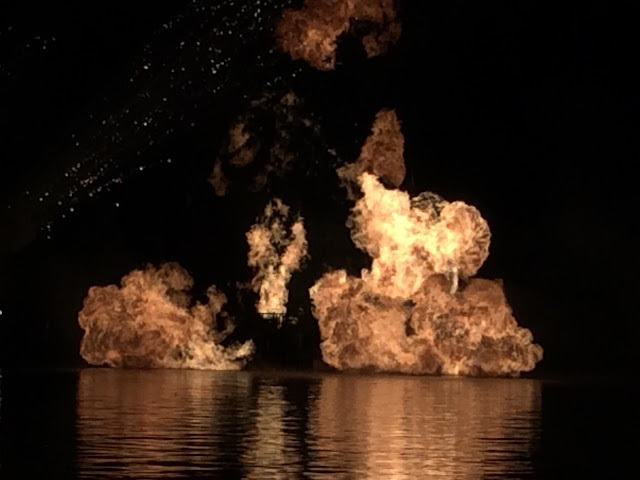 The opening sequence to Illuminations at Epcot includes this amazing inferno in the center of World Showcase Lagoon. The fire is so intense that the heat can be felt by guests who are watching from the promenade. I took this shot tonight from near the water, in the area where Future World turns into World Showcase.